House Speaker Nancy Pelosi doesn’t support the Green New Deal resolution that’s backed by Democratic lawmakers and presidential candidates, according to Michigan Rep. Rashida Tlaib. 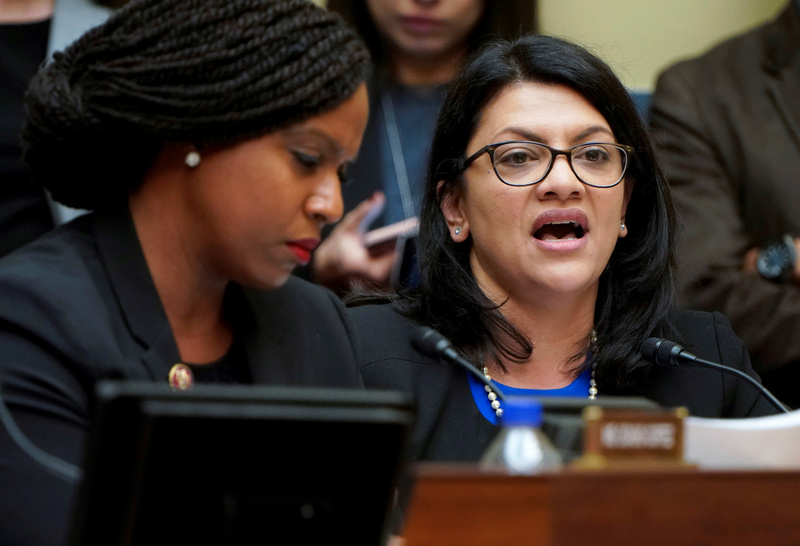 Tlaib, a Democrat and Green New Deal supporter, told Fox 2 Detroit that Pelosi’s lack of support for the Green New Deal and Medicare for All hadn’t stopped progressives from pushing those bills. Republicans derided the Green New Deal as “socialist,” but Democratic leadership also gave the resolution a cold reception. Pelosi called it the “green dream or whatever,” and Senate Minority Leader Chuck Schumer plans on having his caucus vote “present” on the resolution. Rep. Rashida Tlaib (D-MI) questions Michael Cohen, the former personal attorney of U.S. President Donald Trump, as he testifies before a House Committee on Oversight and Reform hearing on Capitol Hill in Washington, U.S., February 27, 2019. REUTERS/Joshua Roberts. 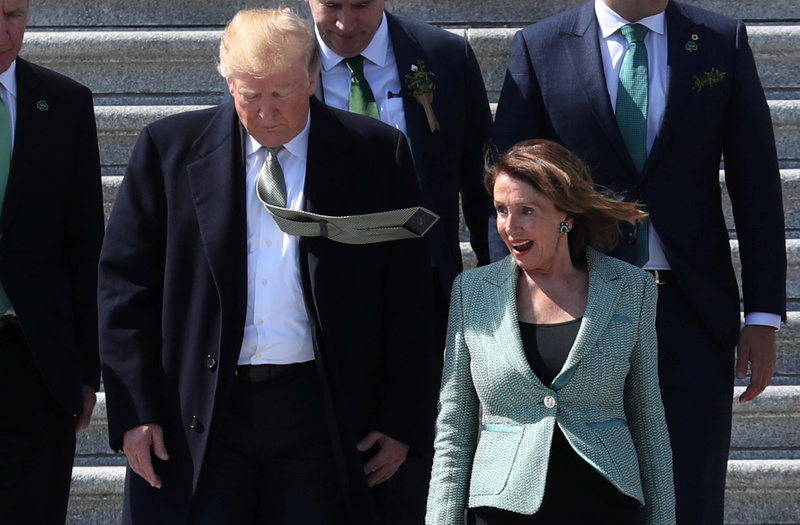 U.S. President Donald Trump walks down the U.S Capitol steps with Speaker of the House Nancy Pelosi (D-CA) after they both attended the 37th annual Friends of Ireland luncheon at the U.S. Capitol in Washington, U.S., March 14, 2019. REUTERS/Jonathan Ernst. Democrats want to make climate change a top issue in 2020, but there’s disagreement on how to move forward with legislation. Moderate Democrats favor a piecemeal approach while those on the far-left favor Ocasio-Cortez’s sweeping plan. Republicans see the Green New Deal as an electoral boon that can be tied to vulnerable Democrats in the next election cycle. Senate Majority Leader Mitch McConnell plans on bringing the Green New Deal to a vote by the end of the month, which Democrats oppose. Pelosi’s office did not respond to The Daily Caller News Foundation’s request for comment.